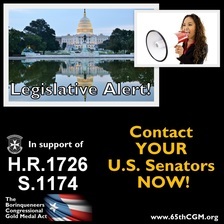 MORE Senate Co-Sponsors needed NOW!!! Full list below by state of U.S. 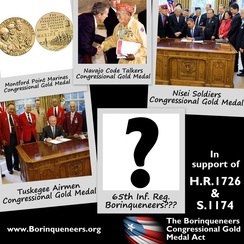 Senators who have NOT Co-Sponsored S.1174 of the Borinqueneers Congressional Gold Medal Act yet!!! Tell your relatives & friends who live in these states, too! The FULL LIST by state of Senators who have NOT Co-Sponsored S.1174 yet, with direct links to their online WEB FORMS so you can request their Co-Sponsorship using this EASY & QUICK method! Also listed are their Washington, D.C. office telephone numbers. You can call & ask for their Military Legislative Assistant (MLA) to request the Senator's Co-Sponsorship of the bill. 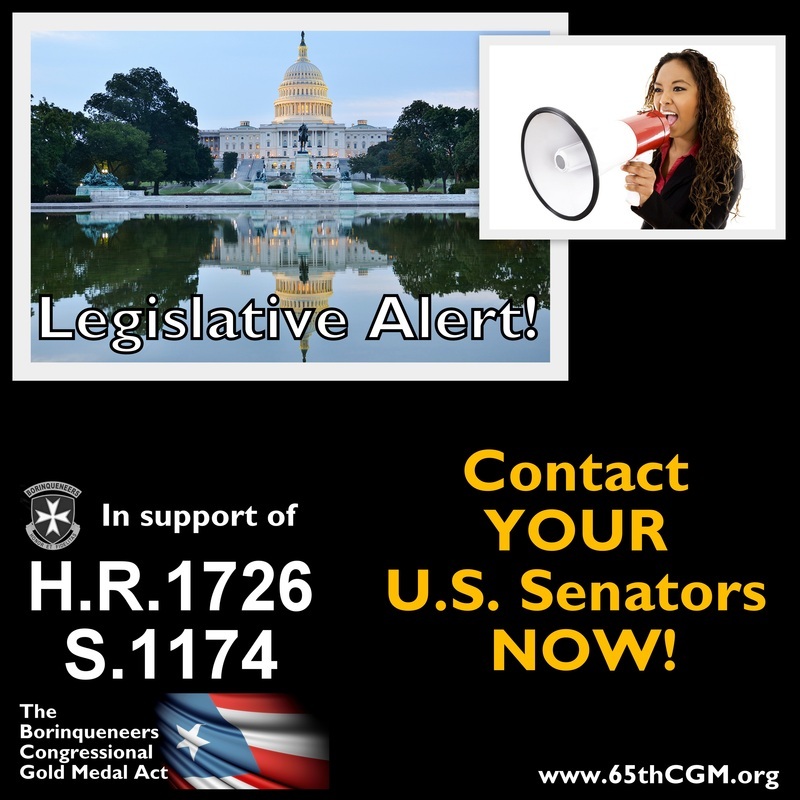 "Hello, I am requesting that my Sen﻿ator CO-SPONSOR Bill S. 1174 which authorizes the Congressional Gold Medal for the 65th Infantry Regiment, "The Borinqueneers" out of Puerto Rico. 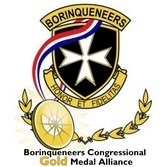 The Borinqueneers' accomplishments have been severely overlooked throughout our U.S. history and the Congressional Gold Medal will aim to rightfully honor their contributions. This recognition is very significant to me and my family. 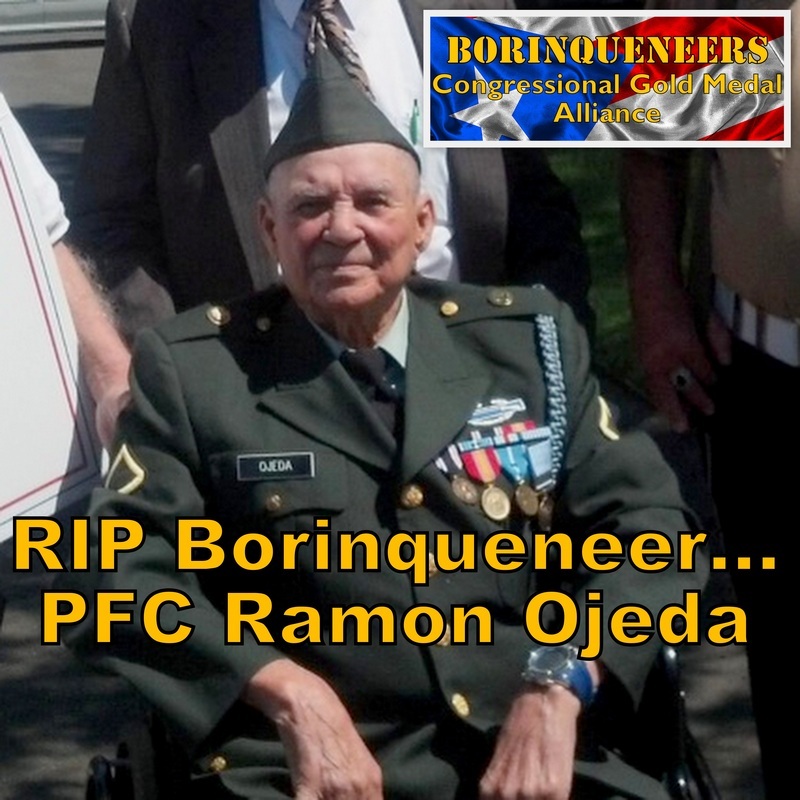 If passed, this legislation will make history for ALL Veterans and Latinos alike. I look forward to a response from your office soonest. Thank you." Click sample Web Form to enlarge! MORE Senators NEEDED ASAP! Deadlines looming! Contact yours NOW! Tell your relatives & friends, too! 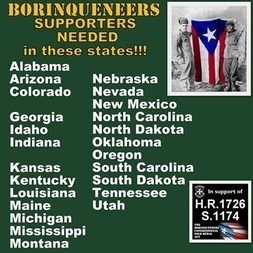 Supporters from these states needed to contact their Senators! Do you or your family & friends live there? Click visual to enlarge! ﻿0 MORE SENATORS NEEDED TO BECOME CO-SPONSORS﻿ right now! 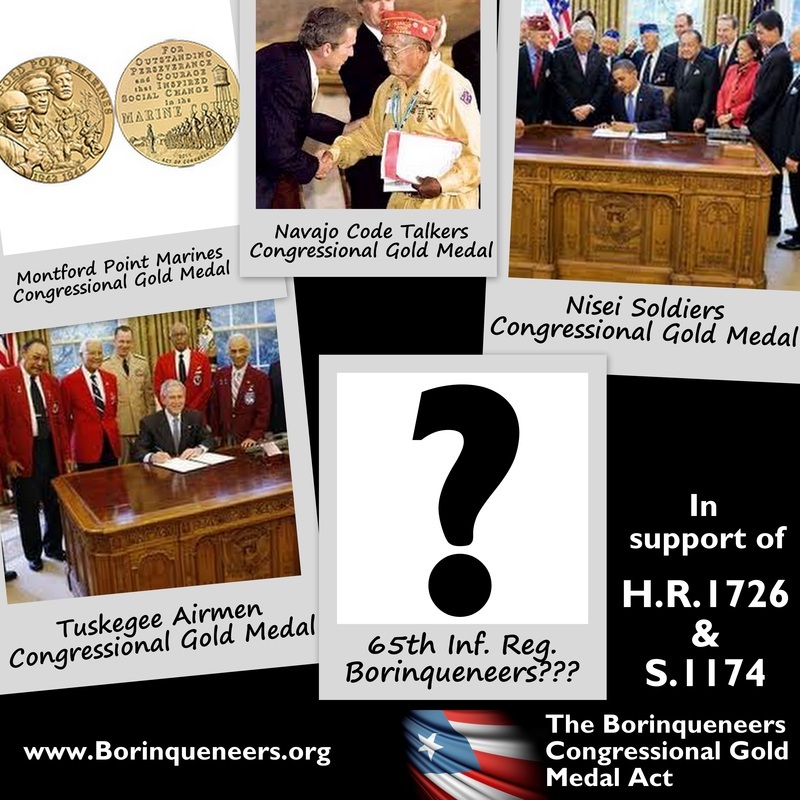 The historic Borinqueneers Congressional Gold Medal Act CANNOT move forward for other Congressional protocols UNTIL the required number of bill Co-Sponsors are secured. MORE Senators are needed IMMEDIATELY! MISSION CRITICAL: See if your 2 U.S. Senators have become Co-Sponsors. Check this full list by state of Senators who have NOT become Co-Sponsors yet! 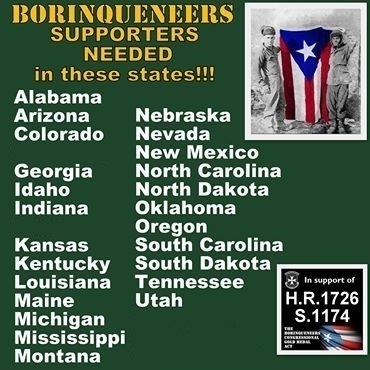 Tell your friends & relatives who live in these states, too! Request their Co-Sponsorship by using their quick & easy online WEB FORMS! Direct links to the forms are located next to each Senator's name at left! See Sample Web Form near bottom of this page! 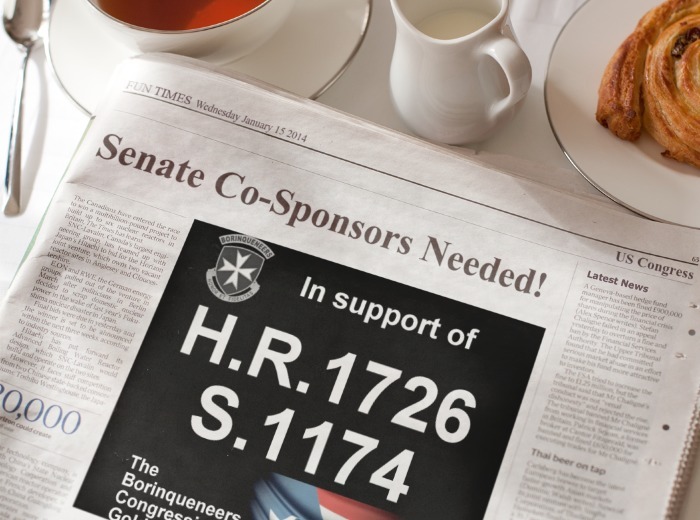 You can also TELEPHONE & speak to the Senator's Military Legislative Assistant (MLA) to request the Senator's Co-Sponsorship! D.C. office phone numbers at left! 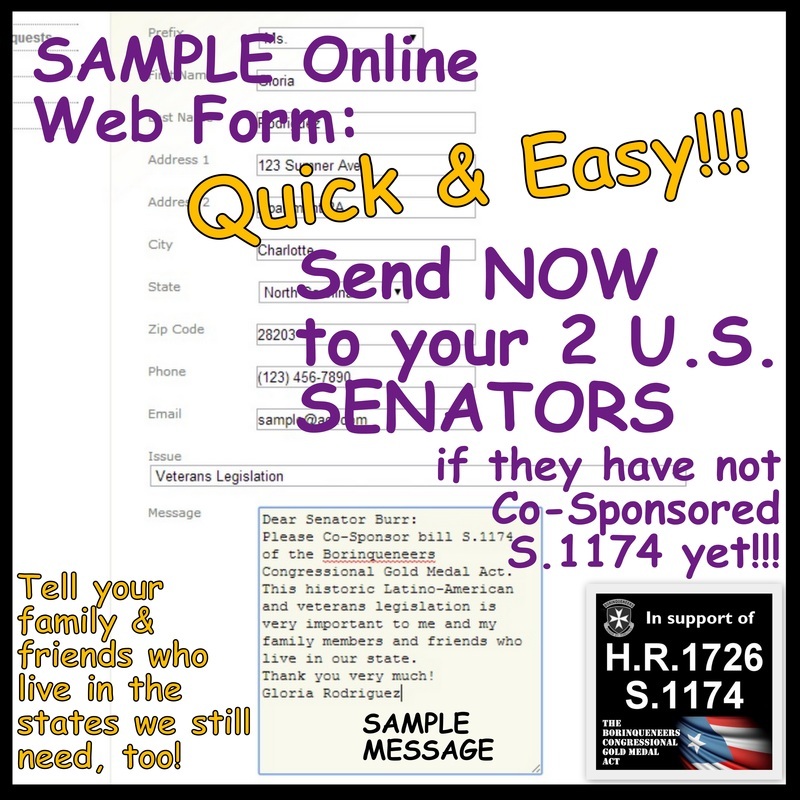 See HOW TO directly EMAIL their Senate offices: Email Congressional Staff! Ramon Ojeda's passing is the subject of the March 24th NPR story linked below. Click photo to enlarge. 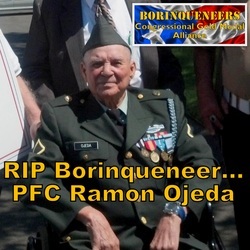 WNPR: Another Borinqueneer Dies As Push For Congressional Gold Medal Continues, March 24, 2014. Click on Question Mark visual to enlarge!